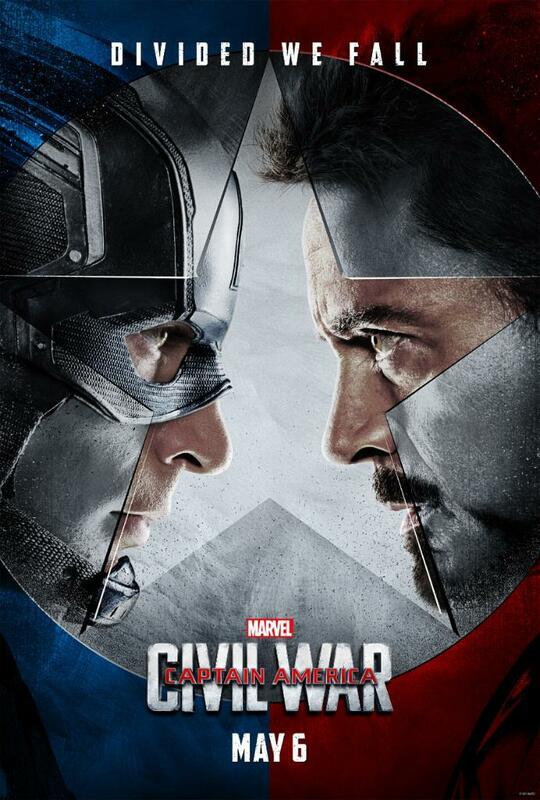 A near-perfect superhero film that ties veryclosely with Joss Whedon's The Avengers as the best Marvel film thus far. Minor points deducted for over-enthusiastic fast cuts and weak bantering during the opening action sequence which was initially worrying, as well as a lack of any dramatic consequences or indepth thematic exploration to the "Civil War". However, major kudos to the ultimate fight - and easily every fanboy's climatic scene - in the end of the Second Act where the bantering improved much more, the brilliant inclusion of Spidey (the Russo brothers at least got his wise-cracking right) and Black Panther (can't wait for his own movie! ), a strong Third Act which had traditionally been Marvel's weakest point and the lack of an under-developed villain (another weak point) was refreshing which made the story stronger and more grounded. The Russo brothers follow-up to their excellent Captain America: The Winter Soldier was a solid winner, mixing humour, action and drama effectively over the brisk 147 minutes run time. There was sufficient easter eggs to make fanboys happy, yet exciting enough for the casual MCU movie-goer. Most things worked and the brothers do have an eye for action and ensemble drama, but with such a big cast it was clear that they did not get a good handle on the voices of all the characters. And some vital ones were sorely left under-developed (looking at you Wanda and Vision). This has, and looks like to be remain, always been the MCU's films biggest challenge. Unlike the comics and even the Netflix series where the secondary characters have been given time to be more better realised. There were no big sets or large action sequences this time round which was good as it really helped to keep the drama/tension close to the characters. However, perhaps it is the 3D, the action sequences consisted of many fast edits and quick cuts - especially the hand-to-hand combats - which rather dilute the tension. Although when CGI kicked in, it paradoxically became more intense. Speaking of CGI, that hilariously bad CGI of a young RDJ was terrifying! Definitely ain't no Michael Douglas! Chris Evans has embodied Steve Rogers although he looked really pretty this time round especially during the more emotive scenes. Robert Downey Jr similarly is Tony Stark but his growth as a character seemed all over the place. Sebastian Stan is sort of a blank here which is disappointing considering his brilliant turn in The Winter Soldier. Elisabeth Olsen's wavering accent is back. Scarlett Johansson seemed bored with her role already. Anthony Mackie and Paul Rudd, on the hand, seemed like they were having fun, especially the latter who constantly drew laughs. Emily VanCamp has zero chemistry with Evans - bring back the excellent Hayley Atwell! Paul Bettany broods well but he his hampered by his makeup which does not allow the brooding to show. Tom Holland is a dead ringer for a young Tobey Maguire and he makes me excited for Spider-Man: Homecoming. So does Chadwick Boseman for Black Panther and Civil War (Avengers: Age of Ultron) is really making Wakanda a damn interesting place to check out. Don Cheadle should just be glad he got to be around and wear a suit of armour. Lastly, I am looking forward to seeing more of Daniel Bruhl in the MCU - he does villianous creepiness well. This was a great film to kick-off Phase III of the MCU. It was fun and exciting, and like I said, that climatic superhero-on-superhero moment: worth the ticket price alone! IMAX was great but 3D may not be necessary here - this ain't The Jungle Book. Hopefully Marvel can keep up the momentum all the way till Benedict Cumberbatch's tricky Doctor Strange. Stay till the end for the mid-credits and end-credits scenes!